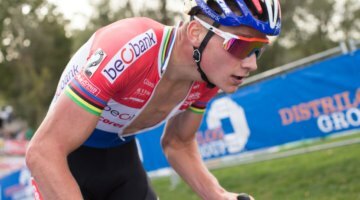 UCI C1 racing in the U.S. kicked off on Saturday at Rochester Cyclocross. Although temperatures were not as hot as they were the last two years (much to the relief of literally everyone), the racing at Genesee Valley Park was still fast and hard. When we talked with Ellen Noble recently, she said she could not wait until the start of cyclocross season. 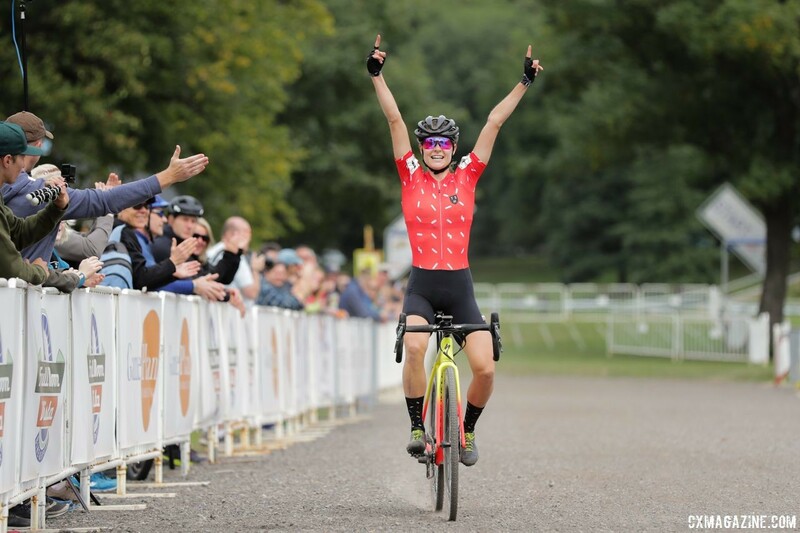 Noble showed just how hungry she was to kick off her first season of racing ’cross with her new Trek Factory Racing team by taking the holeshot and putting pressure on the elite field gathered to chase the C1 points. After Noble’s blistering start had done its damage, only Maghalie Rochette (CX Fever p/b Specialized) was able to keep with Noble’s pace. The two traded leads over the next two laps, before Rochette officially officially launched her CX Fever program, even if it was not necessarily a planned celebration. Inside three to go, Rochette attacked. Noble recovered, and then Rochette attacked again. This time, she had a sizable gap she would not relinquish. 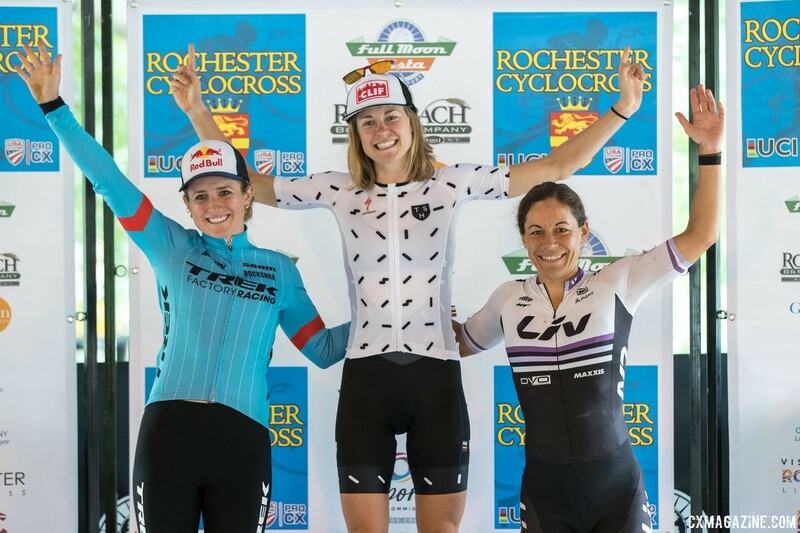 Planned or not, Rochette’s attacks gave her a win to christen her new cyclocross-specific CX Fever program. Don’t worry, we already made the more cowbell reference in the results. Ellen Noble wasted little time jumping into cyclocross season after her successful summer on the mountain bike. Noble ripped off a fast start to take the holeshot and then stayed on the gas through the early flowy corners of the course at Genesee Valley Park. Early on, Kaitie Keough (Cannondale p/b CyclocrossWorld) held her wheel, but when the head of the race emerged from the technical section at the back half of the course, it was Noble and Rochette at the front with Keough, Ruby West (Tenspeed Hero p/b Specialized) and Crystal Anthony (Liv Cycling) giving chase. After one lap, Noble and Rochette had nearly 15 seconds on the chasers and the two showed little interest in letting them close the gap. Over the next 15 minutes of racing, Noble and Rochette worked together to solidify their lead. During the second lap, Rochette did the work at the front of the lead duo. Her efforts were rewarded, as the two expanded their lead on a chase group of two that became Anthony and Caroline Mani (Van Dessel Factory Racing). With Noble and Rochette driving a hard pace on the fast course, it quickly appeared the chasers were playing for third on Saturday. In the third of six laps, it was Noble’s turn to take up lead duties. She led much of the lap and as the two crossed the start/finish straight midway through the race, their lead kept pushing closer and closer to a minute. With the race half over, Noble and Rochette had worked together effectively to expand their lead, but neither had really put in a big dig to break their lead duo up. That changed at the start of the fourth lap. After Noble’s Lap 3 work, Rochette decided to shake things up at the start of Lap 4. She attacked shortly after the two left the start/finish straight and forced Noble to follow. 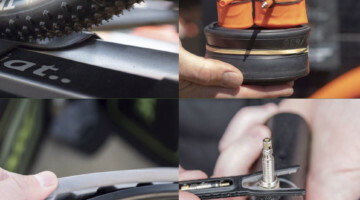 The Trek Factory Racing racer did and closed the gap in the technical section in the woods. 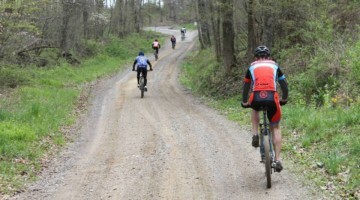 Rochette attacked again heading out of the woods. This time she got a bigger gap on Noble that was going to be tougher to close. When the two rolled past the finish with two to go, Rochette’s lead on Noble was about eight seconds. It was a definite gap, but with Noble’s power and technical ability, it was by no means decisive. When all was said and done, she had a UCI C1 win to launch her new CX Fever program. Noble finished a strong second to take home a podium finish in her Trek Factory Racing cyclocross racing debut. The battle for third between Anthony and Mani was a good one. Mani won last Saturday’s season opener at GO Cross and Anthony won on Sunday, so the two are already well acquainted this season. The two women were wheel-to-wheel until the last lap, when Anthony opened up a small gap on Mani in the first half of the course. Mani’s best efforts to reach the podium were not quite enough, and Anthony held on to take home her third podium finish of the young season. Full results from Saturday’s race are below. The Women return to Genesee Valley Park on Sunday for Day 2 at 2:20 p.m. EDT.